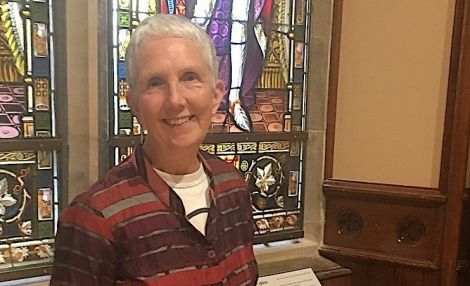 Lerwick Town Hall played host on Wednesday evening to the UK launch of Wild Fire, the 8th and final book in the Shetland series by award winning crime fiction writer, Ann Cleeves. Cathy played an original, moving piece which sounded like an authentically traditional Shetland tune that evoked the drama and delight that lives within Ann’s novels as well as the mournfulness and tragedy in the lives of some of her characters. Ann read a few paragraphs from the beginning of Wild Fire to the audience and spoke about how the title of the book encompassed the human tendencies of spreading rumour and gossip which can escalate out of control especially in small communities. The central characters are a family from London who move to Shetland in the hope of giving their autistic son a better life but when a young nanny’s body is found dead in the barn beside the family home, rumours of her affair with the husband spread like wildfire. Ann spoke about how unkindness was at the heart of this rumourmongering in Wild Fire, feelings she had drawn upon from life experiences, and on being a mother and picking up her children from the school playground. “There was a lot of bitchiness and meanness from other mothers in that playground who decided that they didn’t like someone because they didn’t fit in and so would be horrible to that person. I’ve always wanted to write about this theme of unkindness and I wrote about it in this book. Perez and other characters from Anne’s books have been the inspiration for the award-winning BBC drama Shetland and have captivated audiences worldwide luring many visitors to Shetland’s shores and wanting to visit the locations featured on TV and in the book. Readers and viewers are intrigued by the way Ann portrays Shetland as the fictional crime capital of Britain with a vast amount of murders for such a small community yet paints a picture of beauty and community unlike anywhere else. 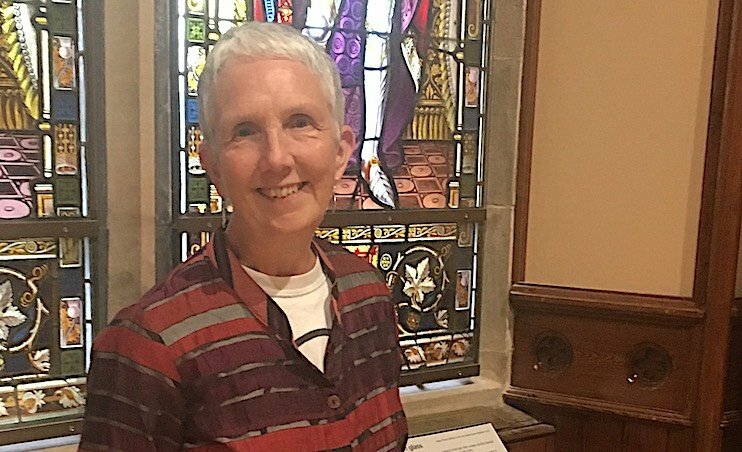 Although Perez and the dramatic murders of her Shetland series has drawn to a close, Ann concluded her evening talk by announcing a new book set in North Devon, titled The Long Call due to be published next year. Fans may mourn the exit of Perez, but fear not, the crime writing brilliance of Ann Cleeves’s work is far from drawing its final curtain. Wild Fire by Ann Cleeves is published by Pan MacMillan, £16.99.